Skye Gravestones | Donald & Ann (McPhie) Campbell, d. Catherine. 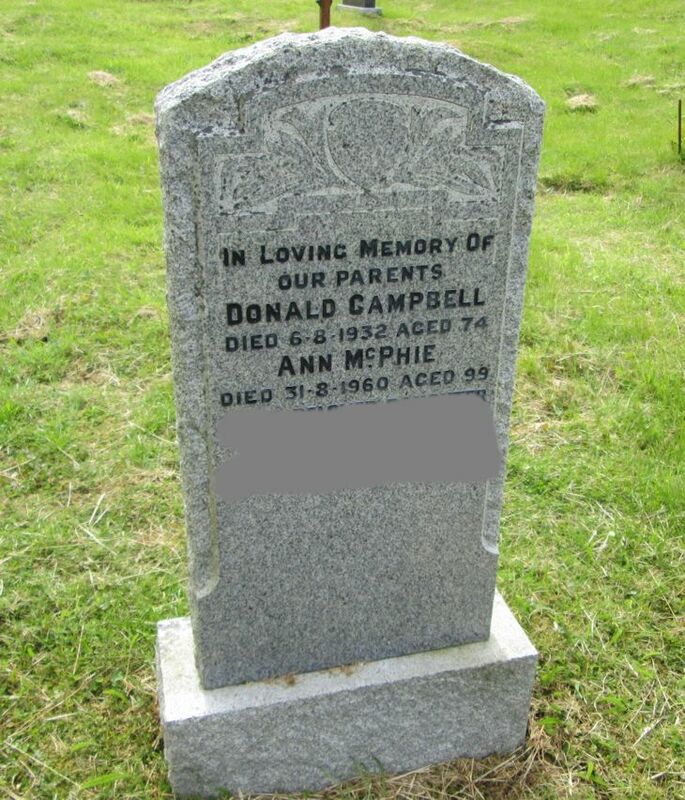 Donald & Ann (McPhie) Campbell, d. Catherine. In loving memory of/our parents/DONALD CAMPBELL/died 6-8-1932 aged 74/ANN McPHIE/died 31-8-1960 aged 99/their beloved daughter/CATHERINE/died 3-7-1984 aged 91.